Ireland has a fantastic culture of volunteering and it’s always heartening to see that no matter what’s going on in the country, that culture remains strong. Over 1 million people in Ireland volunteer each year but there are still a lot of misconceptions about volunteering. In this blog, we’ll tackle the common myths about volunteering. Although volunteering is free in the sense that volunteers contribute their time without payment, it takes time and resources for an organisation to involve volunteers. To engage volunteers effectively, organisations must have someone in place to support and manage volunteers, must develop policies and procedures, go through a recruitment process and provide training and ongoing supervision. So while it may not cost money – bar covering expenses – it takes time and resources for an organisation to provide a meaningful volunteering experience. Garda vetting is often held up as a reason that people don’t volunteer with people believing that it takes too long and is a lot of work. In reality, now that Garda vetting is processed online, the turnaround time is around 2 weeks and often takes even less time. People also often assume that all volunteers must be vetted when in fact it’s only those volunteering with children or vulnerable persons that need to be vetted. It is true that many charities ask for volunteers to commit to giving a certain amount of time. The reason that they do this is because they invest time and resources into training volunteers so they need to ensure a minimum time commitment. They also need to ensure they have the right amount of volunteers in place to deliver the best possible service to their clients. However, there are also many charities that offer flexible opportunities like once off volunteering at events and festivals or online volunteering that can be done in your own time. The important thing is to make sure you choose a role that suits you and the time you have available. We often get calls from people who want to start volunteering the very same day. Unfortunately, that’s usually not possible. When organisations involve volunteers they usually go through a recruitment process which can involve an application and an interview stage. Organisations do this to make sure that the volunteer is a good fit for them and matches the requirements of the role but also to give the volunteer more information about the organisation and make sure the volunteer feels it’s a good fit too. There is also often a period of training before volunteers can start their role fully. Generally, organisations try to make sure that the whole process doesn’t take too long. The good news is that if an organisation implements these processes they are much more likely to provide a better volunteering experience in the long run. There are always some volunteering roles that can begin quickly, particularly once off and online opportunities, but they are the exception rather than the norm. 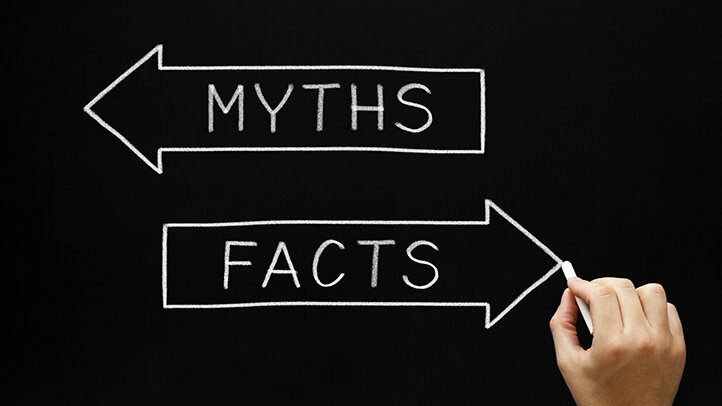 Do you have any myths you’d like us to tackle? Let us know @voluntireland.